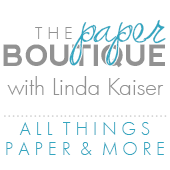 The Paper Boutique: Martha Stewart’s Favorite Crafts for Kids: Book Review and Giveaway! Martha Stewart’s Favorite Crafts for Kids: Book Review and Giveaway! 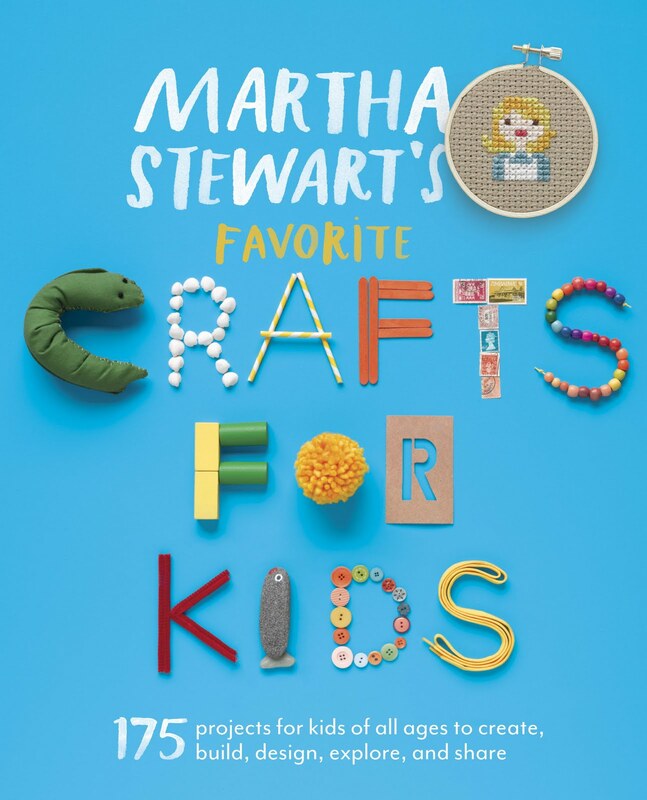 Several weeks ago, I was contacted by Martha Stewart’s publicist and asked if I would like to review Martha Stewart’s Favorite Crafts for Kids book. I did my happy dance and said yes and I am so glad I did. Martha’s new book is amazing! There are over 175 projects for all ages varying in complexity. Many of the projects are created with items you already have at home. Whew! You will love this book and so will your children or grandchildren. What a great gift for a teacher or grandparent. These puppets were super simple and fun to make. I followed the directions in the book using lunch size paper bags and the provided templates. I can’t wait to try this project with my nephew Landon. He will love these! There are numerous holiday projects in Martha Stewart’s Favorite Crafts for Kids book and I cannot wait to try them all with my nieces and nephews. I loved the idea of making quick and easy gift tags with leftover buttons and your children will too! This project was so easy. I can’t wait to try this project. My nephew is going to love collecting and painting rocks! I know I will! Now for the amazing giveaway. Thanks to Martha Stewart, one reader will win a copy of her book as well as some fun surprises from the Martha Stewart Crafts collection. I love surprises and you will too!! 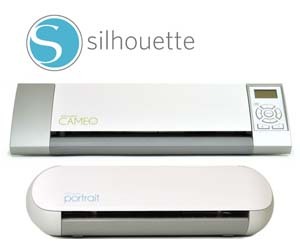 To enter to win, you need to be a subscriber or follower of my blog. You can sign up over on the right side of this blog (if you are not there already). And leave a comment under this post, only one comment per person please. For an additional chance to win, please subscribe to my YouTube channel if you have not already, and leave an additional comment on this post that you did. You have until midnight MDT on Tuesday July 23rd to enter and the winner will be announced on Wednesday July 24th. With 9 grandkids I could certainly use a book like this! Thanks for your review. Projects look easy and fun! I also follow you on You Tube! I do a summer art camp with my 3 grand-daughters each year, and they love it! Linda, Thank you so much for this opportunity! I have been your follower for quite a while, including on YT! This looks like a great craft book...would enjoy making projects with my six grandchildren! I am a follower of your blog through Bloglovin. I am always organizing school class parties. This would e a perfect addition to my resources! I've been a follower for a long time now on the blog and on YouTube. I have 7 grandchildren and teach a class at my church, so this book would come in very handy. Thanks for the great giveaway! What a fun giveaway, Linda. So glad I'm a follower so I can throw my name in the hat. MS products are top notch and I'm sure this new book is, too. Thanks so much for the chance to win. My grandchildren love to craft with me, and this book would give me some added inspiration and ideas for maybe some new and different projects. I have already subscribed to your blog and YouTube channel! I would love to win this for my nieces and nephews...I'm starting to run out of craft ideas for them! WE have our granddaughter for a week later this summer. I am proud to tell you she's becoming a crafter!!! This book looks awesome! OMG, I think I NEED this for school! Looks like a ton of fun! I have my first grandchild on the way and I would love to win this book for when he comes to visit. I am an email subscriber to the paper boutique and would love to win this book so I can share these crafts with my niece and nephew! Thanks so much for the chance to win this awesome book! If I win, I'll be giving it to the afterschool program that I work for ~ looks like it has some great crafting ideas that the crafts teachers in the program could use with our students! Me been a teacher, I'm always looking for ideas for my preschoolers. This would be awesome! I subscribe and I will follow you on YouTUbe now. Thank so much! This is just perfect for us! I have a 4 years old girl who LOVES CRAFTS! We have crafty day 2-3 days in a week! This book will give us TONS OF FUN CRAFTY DAYS! Thank you Linda for this good review of this book! Linda, thanks so much for the chance to win. This book would really come in handy when our godson comes to visit - I am sure we would find lots to create with such a great book! Thanks so much for the chance to win. I KNOW this book will come in handy when our godson comes to visit - he just loves to craft! I am going to be a first time Great Grandmother in February and can hardly wait. I'd love to have this book to help me play with my new little one. I am going to try the puppets with my granddaughters. Love being subscribed to your blog! I look forward to receiving your updates and seeing what new things you have to show us! I'm already a subscriber to your blog and your YouTube channel...and with 2 busy little grandsons, I would LUV to win this book. Thank you for the chance. I am a teacher and this book would be sooo helpful when I need a fresh idea for them to Create. thanks for the chance to win this fun book and surprise goodies. Oh,my what a cute book I teach Sunday school and some of the crafts look adorable. Thanks for a chance to win. Lindave I am a follower on your blog. Both of my grandsons love to craft with me and I am always looking for new ideas -- must have this book! What a fun book. I'm a follower and subscriber. Also a YT subscriber. What a super fun book to keep kids creativity alive. Am already a follower. This book looks great! I think my granddaughter would love making some of these items! Thanks for the opportunity to win a copy! The rock turtles are super cute!! I'm already a follower. Thanks for the chance to win. already a follower to your blog and channel.. would love to win some Martha goodies.. Thanks for the chance. I am a YouTube subscriber, as well! My grand daughter would LOVE to have this for inspiration to her already very clever, craft ideas! That book is a really good find! VERY CUTE PROJECTS. I'M SURE MY GRANDKIDS WOULD HAVE A BALL WITH MANY OF THE PROJECTS. I'VE BEEN A SUBSCRIBER TO YOUR BLOG FOR SOME TIME NOW, BUT JUST ADDED A SUBSCRIPTION TO YOUR YOU TUBE CHANNEL. I would love this book for my children. All they want to do is crafts! I just subscribed to your youtube channel. Can't wait to have time to watch your videos. Love your blog and would love this book. Thanks for the opportunity. I really miss Martha's show! Thanks for showcasing a few projects from her book! I'm a Youtube subscriber. Thanks for all you do! Thanks for the chance of winning such a fun book! I love your blog with all of the great ideas. Thanks for this opportunity to win the book. Love Martha Stewart Crafts. I also subscribed to your YT channel. Love your blog, ideas, etc. Thanks for the chance to win this book. I'd love to win this - how cute! Looks like a bunch of great ideas. I follow your blog and also follow you on you tube. Follower and a You Tube follower. Lucky you! I am thrilled for you about all the wonderful new opportunities that have come your way. You are truly deserving! I already follow your blog! Thanks for the chance to win this cool prize...my kids go crazy over craft projects. I am a new subscriber to your YouTube channel! We have a 3 yr old granddaughter, Hayden James, & she loves to do crafts. She lives 125 miles from us, so when she is able to come & visit, we make craft gifts for everyone! This book would be wonderful as we are in need of some new, fresh & easy ideas! Thank you....P.S. love your blog & you tube! Kathi Buksas-I have 3 Grandkids that would just love this book! Thank you for the opportunity. How fun it would be to win. One of my very favorite books as a child was a make it book. I'm a nana to 7 grandkids, the latest a set of twin boys. I always try to do crafts with the older ones to create memories. I'd love to own this book. This book looks great, would love to have to share with grandkids, nieces and nephews. Since my grans come and spend time with me in the summer, this book sounds like a great resource.Thanks for the opportunity to win. would love some inspiration to make crafts with the granddaughter. the rock projects look fun for adults too.! So awesome. :) My kids will love this! Love your blog!! !Thanks or your giveaways too! I subscribe to your awesome YouTube channel!! I love SOS!! I'm a follower, and have been for a while now!! I follow your blog and am a subscriber. Love Martha Stewart products. Martha work is always high quality, so this book would be a delight. What a great opportuity! Thank you! Great ideas for fun with the grandkids. Would love to have the book. Am a follower of your blog and You Tube channel. Thanks! My granddaughter loves to craft and this would be amazing to win! Oh this is so cute. I love doing crafts with my students. What fun! I follow on your youtube page. And I just want to say THANKS! I would love to win that book and to use it both, with my children and my pupils!! I subscribe to your blog! Thanks for the chance to win!